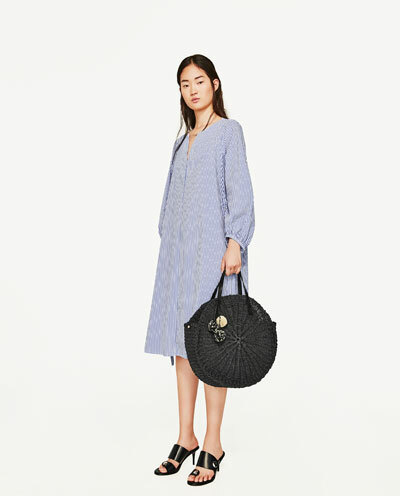 This straw circle bag by Clare Vivier is perfect for summer, and retails for $225. It comes in cream, navy, or black with red and navy stripes. 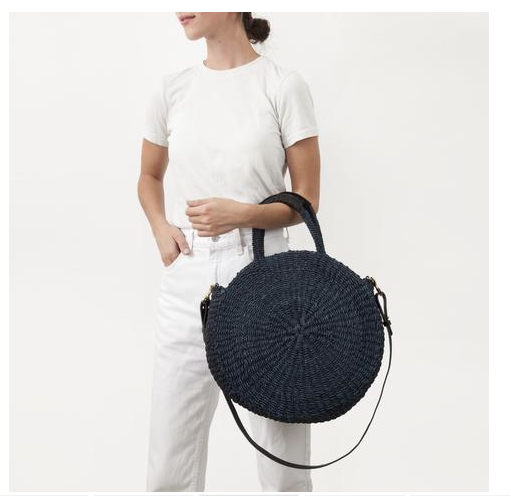 I found a similar version for Zara, which also comes with these adorable pom poms on it. It's only available in black, but retails for a lower $49.90. Click HERE to view or purchase!